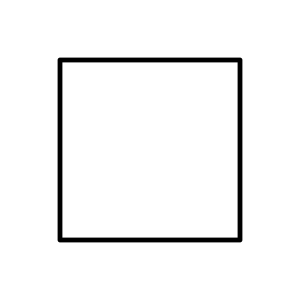 A square has 2 dimensions: length and width. 2D or two-dimensional objects have two measurements: width and length, like a square. Two-dimensional objects do not have depth, like a cube. It's a mathematics tool, but it's also used in video games, and computer science. Throughout maths, it is used in geometry and other categories. In video games, it is used as a perspective, like in Grand Theft Auto 1 and 2. 2D Facts for Kids. Kiddle Encyclopedia.